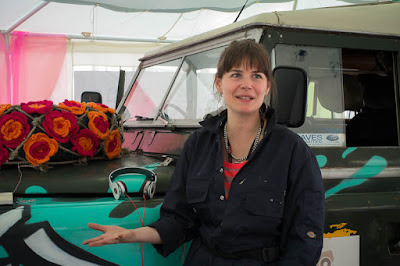 Anne-Laure (pictured) and Lucy spent six months travelling through North Africa and the Middle East in an old land rover they named Landy. Crazy? Maybe, but their inspirational journey was to experience everyday life in this part of the world and to show a positive side to these countries that is not expressed in the mainstream media. The many stories they have to tell about this extraordinary adventure are published in a book titled Shifting Sands and a website of the same name. They are also taking part in the InTransit Festival where Anne-Laure, Lucy and Landy will be found in a tent serving tea and regaling their stories between 19-28 June. They'll tell you how they pimped Landy everywhere they went, not just to make her look crazy but for very practical reasons such as not looking like a military vehicle, or why they lined the entire inside of the vehicle in cork. 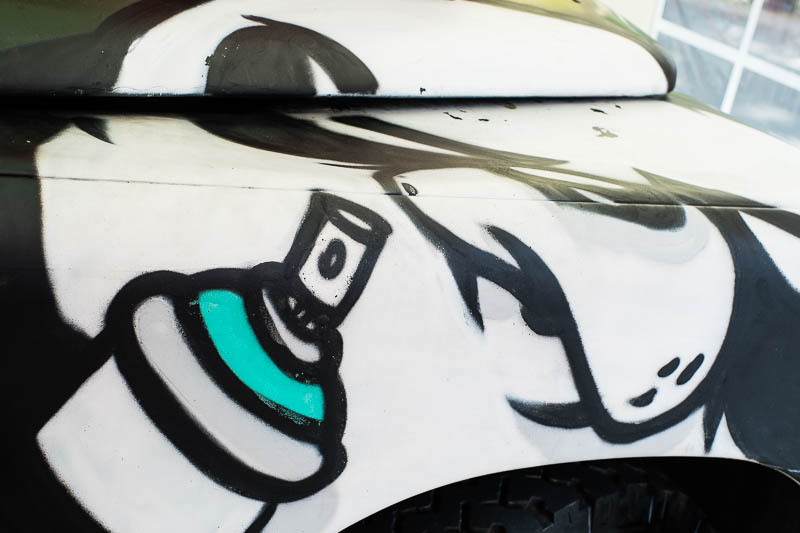 During their time in Istanbul, Landy became a canvas for the art of Leo Lunatic, Istanbul's equivalent of Banksy, as a result this is the first time Leo's art has been able to travel outside of his home country. By the end of the trip they have become damn good mechanics and have made some amazing and lasting friendships. Don't miss the opportunity to meet them in person and hear about their adventures. For my overseas readers, do visit their website. Wow, that is quite an adventure. I'll check them out. The idea of travelling in the Sahara particularly would interest me. An interesting tale they will have to tell. Very interesting and perhaps something many would like to do but dont have the courage.